Experience the exciting beginnings of space travel, from the launch of Sputnik 1 to the Apollo landings on the Moon, and from the assembly of the International Space Station to the first private space flights. Trace the initial competition of political systems for supremacy in space, and the peaceful collaboration between nations today. Join in the vivid, historically accurate reconstruction of humans first steps into the cosmos. Learn about the men and women who braved the risks of space travel. 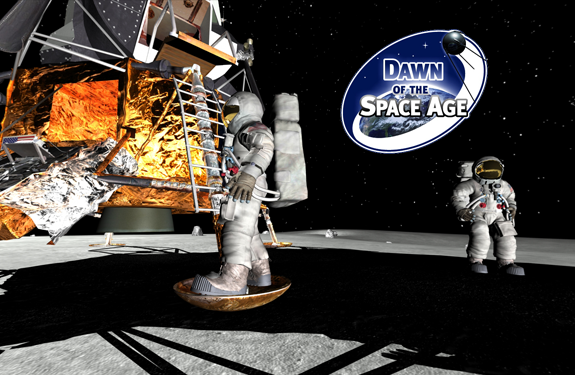 Witness their courage, their passion and their perseverance in “Dawn of the Space Age”.